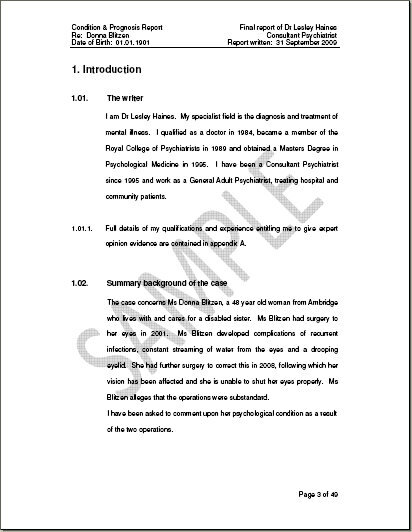 I have provided reports on all matters of psychiatric complications following personal injury, including PTSD, prolonged grief, chronic pain and anxiety and depression. 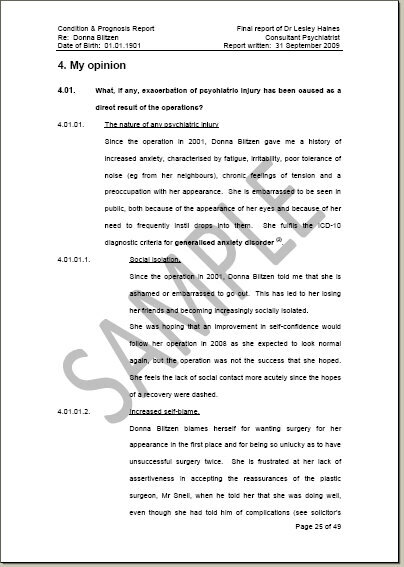 I am familiar with the requirements for secondary victims described in Alcock -v- Chief Constable of South Yorkshire (1991). 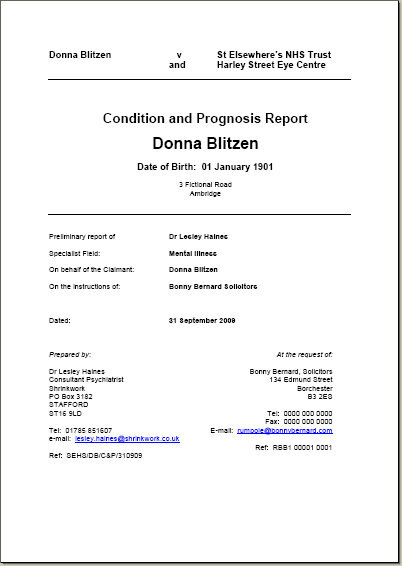 I have produced reports for both the claimant and the defendant in cases of clinical negligence. The following are sections from genuine ShrinkWork reports, suitably edited to preserve privacy.